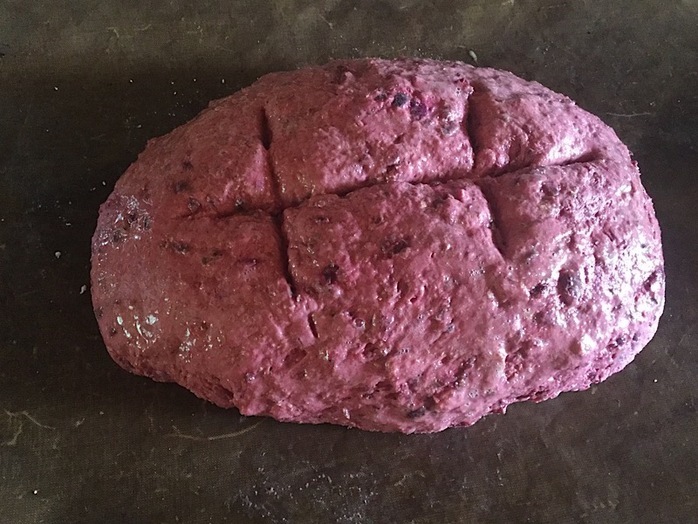 After trying beetroot bread from a supermarket bakery, I thought I would make my own. 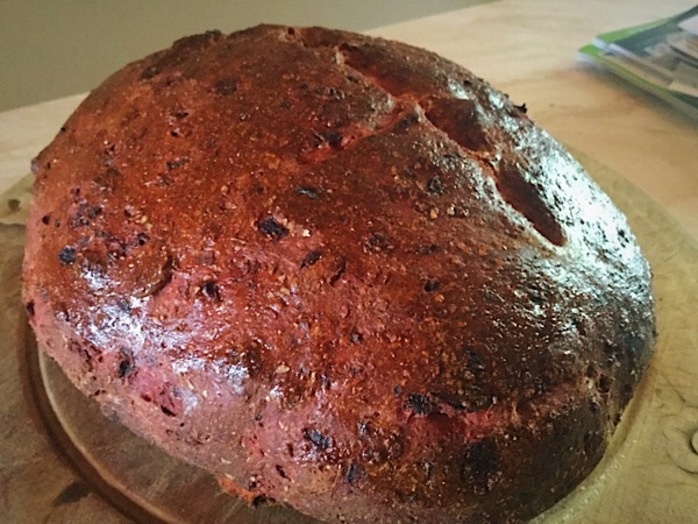 The beetroot give the bread a lovely colour, gorgeous fresh smell, and sweet taste. Peel and dice the beetroot. 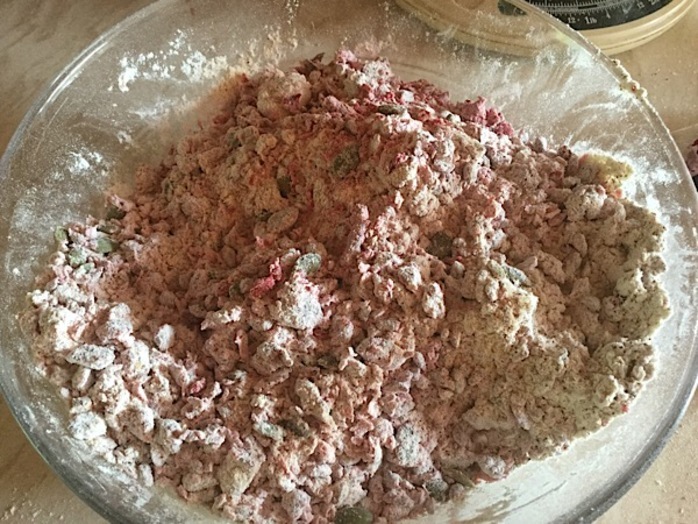 Mix with flours, salt, teff, yeast, pumpkin seeds, and 1 tbsp chilli oil. 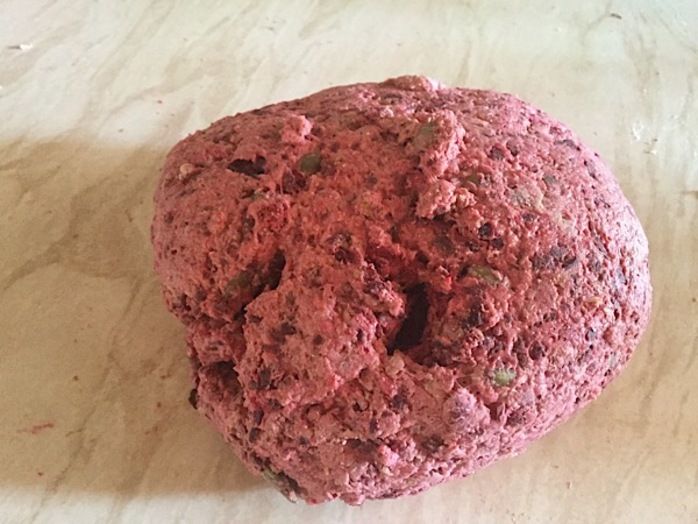 Gradually add the water a little at a time until it forms a pliable dough (you might need less than 200ml, depending on how much beetroot juice is absorbed into the dough). 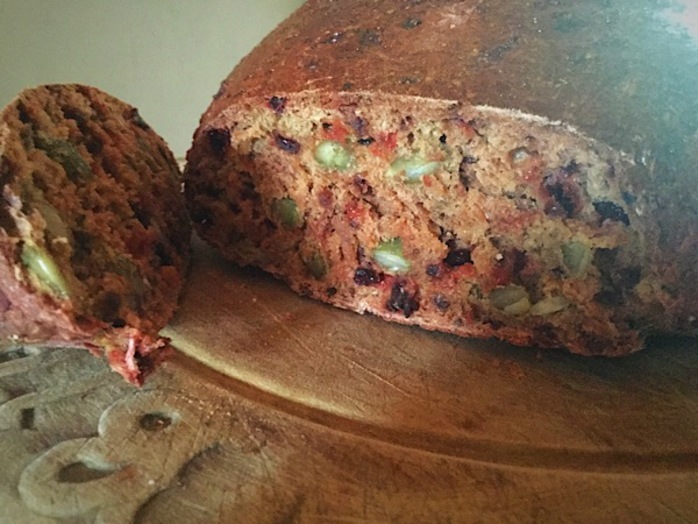 Drizzle 1tbsp chilli oil on the work surface and knead the dough for 10 minutes. Prove for at least an hour and then shape and score the dough. Beat an egg with a fork and then brush over the dough to glaze. Allow to rest for another 10-30 minutes while pre-heating the oven to 200 ༠C/ 180 ༠C fan/350༠F/6 Gas.